Published on July 12, 2011 in Uncategorized. 0 Comments Tags: cotton lawn, Fabric.com, McCall's pattern. As I was looking at the latest catalog that arrived in the mail, I came across a blouse from Garnet Hill. I keep an idea file of pictures from catalogs, websites, etc. of things I like. It might be a garment, a cool embellishment or surface technique. So when I’m lacking in the creative department I get out my notebook and look for some inspiration. That is how this blouse came about. The blouse is basically pretty simple. Button up the front, mandarin collar with asymmetrical raw edge ruffles. Simple right? So why does it cost $98????? 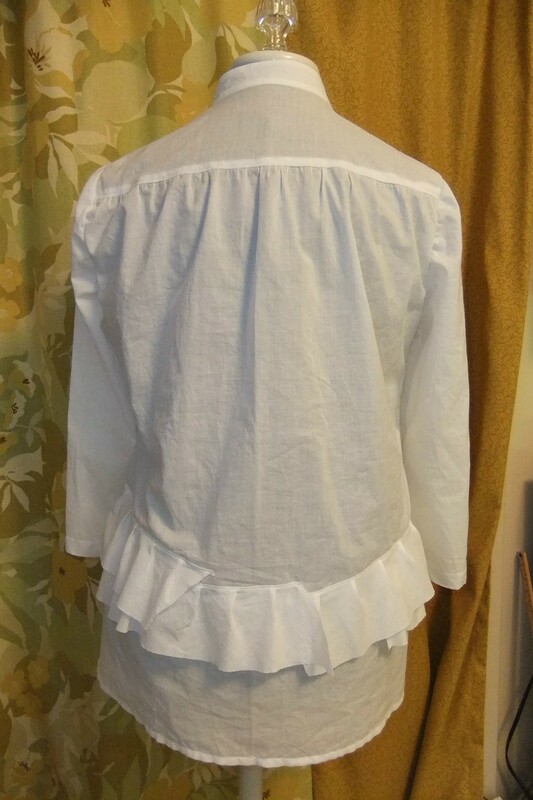 I set about making my blouse and this is the result. Mine cost less than $20. 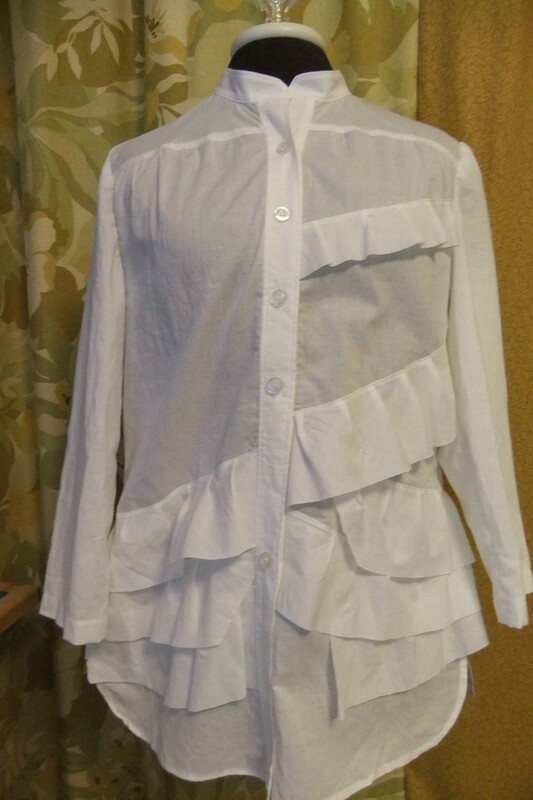 I started with McCall’s pattern 5433 view D. I took out the darts and moved the fullness to the top by adding a yoke. To get the mandarin collar I just put on half of the two part collar. I bought some wonderful cotton lawn fabric from Fabric.com and used some old buttons from my mom’s sewing room that had 59 cents marked on them. How cool is that?